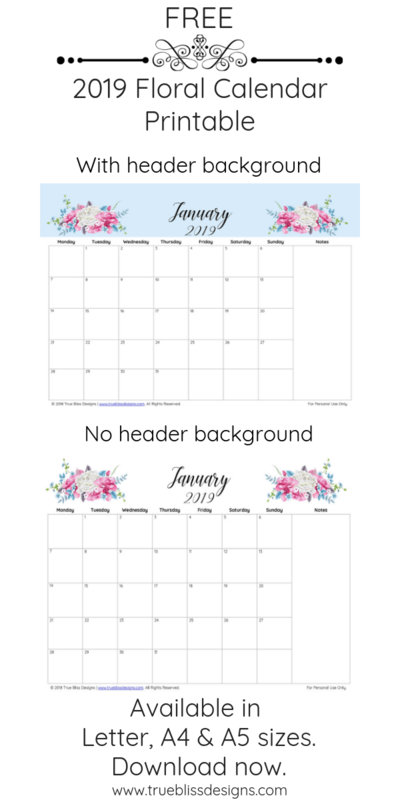 I’ve already created a 2019 Floral Calendar which you can find HERE. However, for those who preferred last year’s design layout, you can now download an updated 2019 version. The calendar is available in Letter, A4 and A5 size. You can find other calendars HERE. Scroll down and click the link below to download the calendar. Do you like these freebies?